The submissions to CCA Galleries International's Summer Exhibition 2018 have been recieved and the final artists to exhibited have been selected. The exhibition is based on the successful model at the Royal Academy every summer – exhibits are selected by a panel of professional artists and critics and shown in a group selling exhibition. 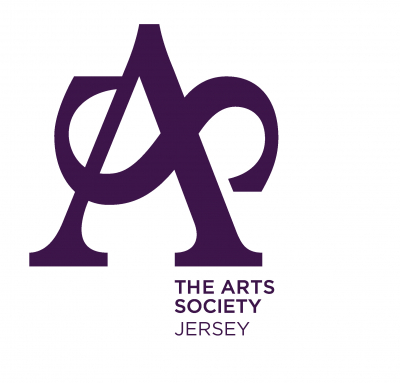 As well as exhibiting at a prestigious, international gallery, being selected for CCAI Summer Exhibition is expected to help launch the careers of promising Jersey artists, as well as enforcing that of those already established. All work is for sale and will be hung, lit and curated by CCA Galleries International. If your work has been accepted into the exhibition you will have recieved a letter and agreement document regarding the consignment of work for exhibition at the Gallery. The chosen work must be delivered to the Gallery on Monday 11 June between 9.30am - 2.00pm. It will be hung and exhibited and for sale in the gallery for the month of July. FINAL SHORTLIST: Robert Allen, Pascale Aure, Pippa Barrow, Will Bertram, Penny Best, Lisa Bloomer, Celina Borfiga, Lee Bowman, Katy Brown, Jason Butler, Katherine Cadin, Sharon Champion, Drena Collins, Phil Coleborn, Jeannie Cox, Sean Crick, Susan Crismas Wood, Rozelle Creegan, Anna D'Alessandro, Jason Dodd, Mike Etienne, Jan Falle, Matt Falle, Edward Farley, Graham Bannister, June Gould, Jenny Gruchy, Caroline Hall, Susan Harris, Heath Hearn, Lizi Hill, RIan Hotton, Will Lakeman, Roberto Lauro, Siobhan Lavery, Oliver Le Gresley, Anne Frances Le Moine, Ariel Luke, Patrick Malacarnet, Val Marshman, Allan Giles McCartney, Martin McDowell, Miranda Moncreiffe, Francesca Louise Monticelli, Ann Morgan, Tom Parker, Linda Rose Parkes, Ben Robertson, Kathy Rondel, Gina Socrates, Sergei Sogokon, Alice Stevens, Juliet St John Nicolle, Maria Tarrant, Martin Toft, Alex Trevellyan, Kerry-Jane Warner and Dasa Wharton. Juliet has been using art as a way of communicating throughout her life. A prolific and original artist, Juliet will talk about her motivation and give us a rare and eloquent insight into her world as an artist working with autism. 'Germinale' was a 'Living Scarecrow' commission first created as part of the Seed Journey Project by the Future Farmers for Kaspar Wimberley of The Morning Boat, produced by Art House Jersey. It was performed at Hamptonne Country Life Museam at the Spring Equinox. The inspiration for the piece came from the 4 seasons and their cyclical nature, our relationship with the land and our need to maintain this knowledge. The gestural movements reflect the farming behaviours and weathers of each season. Influences include The French Republican Calendar of 1793, Pina Bausch's Nelken Line, the Kibbo Kift, the Ballet Russes, Sufi Dervish and the Matisse chasubles. The performance will take around 15 minutes. The Gallery will be open 10.30am - 4.30pm on Saturday 7 July. Artist and Exhibition judge, Danny Rolph will be in the Gallery 11.00am - 12 noon for 'A Conversation on Contemporary Art in relation to the Exhibition', Danny will also announce the winner of the Summer Prize. Artist and Summer Exhibition selection judge, Danny will also announce the winner of the Summer Prize. The Summer Prize is a solo show in one of the painted galleries for up to 6 pieces of work later in the year. The prize will be awarded to the artist that the judges agree exhibited the most promising piece of work. Bring your lunch along to a workshop with ballet photographer Dasa Wharton. This workshop is open to all and will be beneficial to artists, business owners, bloggers, those wishing to improve their visual presence on social medias and online. Dasa will cover technical aspects of photography, mobile phone photography, editing applications, how to best visually present yourself and your brand, your products and your art, as well as tips for preparing for photoshoots. Dasa's work can be followed via her Facebook Page , Instagram Account and Twitter .